Blog Google Cloud Is Data Engineering on Google Cloud Platform Certification Worth It? Data engineering on Google Cloud Platform certification is one of the top certifications that Google offers for people who have expertise in GCP services & infrastructure. 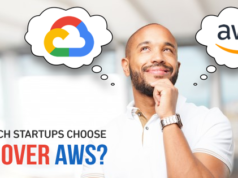 The extremely competitive nature of today’s cloud makes it hard for the cloud aspirants to wisely choose the platform they want. Whether it’s AWS or Azure, there’s a high degree of demand for cloud-based roles. To this scenario, the questions regarding whether Google data engineer certification worth it or not, come on the stage. Here, our intention isn’t different from finding out the viability of data engineering on Google Cloud Platform. Anytime, you can refer this guide to know more details about it. Google has a number of certifications apart from Data engineering on Google Cloud Platform specialization to verify one’s proficiency in various aspects on Google cloud technology. This includes Associate Cloud Engineer, Professional Cloud Architect, G Suite expert, and Professional Cloud Developer. Google Cloud has recently launched Professional Cloud Security Engineer and Professional Cloud Network Engineer beta exams. Each of these roles has certain pre-defined objectives to meet business requirements and customer needs. 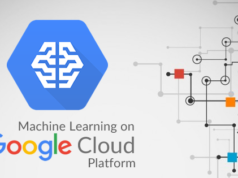 Out of these, data engineering on Google cloud platform certification focusses more on the design & development of data processing systems and machine learning tools on Google Cloud. The primary role of a Google cloud certified data engineer is none other than to make data-driven decisions by the analysis, transformation, and visualization of data. He/she is responsible for designing, building, maintaining, and troubleshooting data processing systems by taking considerations for factors such as security, fault tolerance, scalability and so on. 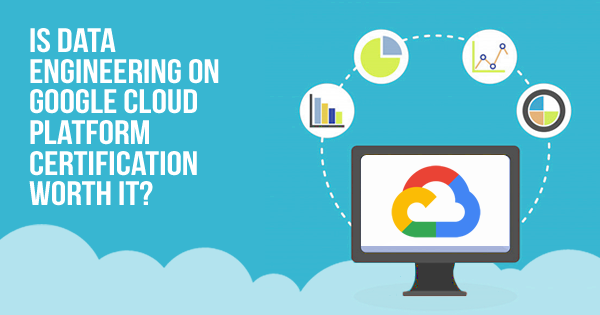 To know more about Google Cloud Certifications, read our previous article titled as Introduction to Google Cloud Certifications. Moreover, a person who has passed the exam for data engineering on Google Cloud Platform is responsible for analyzing cloud data to comprehend valuable insights regarding business outcomes. He/she needs to create statistical models to support decision making and build machine learning tools to automate business processes. Professional data engineer exam checks a candidate’s proficiency in critical skills required for the job. All the questions asked in this exam is either multiple choice or multiple select format. There are no defined prerequisites for appearing for this exam. But, you have to take the exam in-person at your nearby test centers. The cost of the exam is 200$ and the allotted time for exam completion is two hours. The exam can be written is languages Spanish, Portuguese and Japanese apart from English. The curriculum for data engineering on Google cloud platform examination contains 7 sections that thoroughly check a candidate’s skills and expertise on Google Cloud data engineering concepts. These sections include the following. Design data processing systems: This section mainly deals with the design of flexible data representations, data pipelines, and data processing infrastructure. Build and maintain data structures and databases: This section targets at building and maintaining flexible data representations, data pipelines, and data processing infrastructure. Analyze data and enable machine learning: This includes data collection and visualization and the enabling of the machine learning model and its deployment. Model business processes for analysis and optimization: Mapping of business requirements to data representations is the main part come in this section. It also includes optimization of data representations, cost, and data infrastructure performance. Ensure reliability: Maintaining quality control is the primary objective in this section. Assessment, troubleshooting, and improvement of data representations and data processing infrastructure is another part of this section. Visualize data and advocate policy: Building or selecting data visualization and reporting tools come under this section along with advocating policies and publishing reports and data. Design for security and compliance: Designing for legal compliance and designing secure data processes & infrastructure are the main considerations in this section. Once you’ve closely checked the exam modules for this exam, you can start your Google data engineer certification preparation at the very next moment. Your preparation needs to encompass everything from proper training to sample tests that can equip you to give the best for this examination. Why do You need to Opt for Data Engineering on Google Cloud Platform? The exam isn’t hard but not that easy, you need to have enough background knowledge in machine learning and data engineering concepts. But once you acquire the necessary skills for the exam, you will be able to pass the exam without much effort. A professional data engineer gets average paychecks no less than typical software engineer gets. Usually, this package is considerable higher even in entry-level jobs. When it comes to Google itself, the salary ranges from $110K to $150K in US market. You don’t have to wait for an offer from Google once you passed this exam – there are a large number of companies implementing the Google Cloud platform. These companies take signification consideration on the certification you have. Moreover, there has been a marginal increase in the number of businesses adopting GCP technologies as their cloud partner. Once you are aware of the importance of data engineering on Google cloud platform, you can start your exam preparation for that. There are different methods that you can follow to pass this exam. Here, we are trying to provide the essential things you need to know before trying the exam for data engineering on Google cloud platform. Just carry out the following steps for that. Qwiklabs, the well-acclaimed software learning provider offers detailed Google Cloud Platform and data engineering resources. You need to log in with your Google ID to access these resources. Once you login to this console, you’ll be allotted a lab time of 45 minutes depending on the quota limit. Anytime, you can access your console for data engineering on Google cloud platform while working on such a lab. Also, note that you need to go through GCP essentials first on Qwiklabs panel before entering Data engineering quest. The official GCP documentation from Google contains all the basic resources you need to know before appearing data engineering on Google cloud platform exam. You can find the information on GCP basics, migration to GCP for other cloud platforms links to GCP training resources and many more. Coursera.org is Google’s official partner which provides on-demand training on Data Engineering on Google Cloud Platform. This course is 100% online and you can set a flexible schedule as per your time and convenience. Also, the course is said to be an intermediate level. So, you need to go through GCP essentials & documentation before joining this course. Also, Google provides instructor-led training to all Data Engineering on Google Cloud Platform aspirants. Anyway, the availability of classroom training depends on your location and the date you choose. For registering a professional Google Cloud Certified Data Engineer examination, you must create a new Test Taker Google cloud account. Your Gmail ID won’t work here. You need to enter your legal credentials to create an account. Once you registered for the exam, you can log in to your Google Cloud exam dashboard using the username and password you opted. After logging in, you will reach the dashboard where you can see the button “REGISTER FOR AN EXAM”. When you click this button, you will see a number of exams including our Google Cloud certified professional data engineer. Click the “Buy Now” button on the right side of exam description. You will be redirected to another page where you have to choose your test center on your location. In the next page, you need to choose the date and time when you wish to take the exam. Once you select this, you will reach the payment page where you have to pay the price for this exam. If you have any coupon/ voucher code, you can use here. Your registration will be finished by this step. Make sure to read exam policies before buying the exam. Google has clearly defined its policies regarding exam taking, retaking, cancellation and reschedule for this exam. You will see these policies while choosing the exam date and time. Aspired to pass the Google Cloud Data Engineer certification exam in the first attempt. 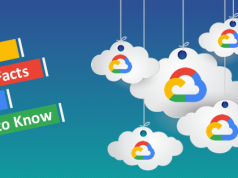 Follow this comprehensive Google Cloud Data Engineer certification preparation guide and get ready to clear the exam. We think as we have clarified your doubts regarding whether Google data engineer certification worth it or not. If you are still in a dilemma, take your time to compare different data engineer certifications from various cloud service providers. You will definitely know whether to follow this path or not. However, if you think as this certification is relevant for your career growth, you can proceed forward with proper Google data engineer certification preparation and training. Once you think you are prepared enough, you can further move to exam scheduling options without much delay. We’ll recommend you to take Whizlabs Google Cloud Professional Data Engineer free test to check your preparation level. Just do your best and you will be rewarded for your efforts! First of all, thanks so much for such as complete overall of what the certification exam means. I’m planning to jump into this certification at the end of this month. i have experience working with AWS and slightly Azure. However, I see GCP as a big competitor and even though now they are on the third place I know that rapidly they will even climb over Azure due to all ML services along with the friendly DEV api’s. Thank you, Andres! It’s great that you’re planning to take Google Cloud Professional Data Engineer certification. Your knowledge spectrum is too wide as you have experience on all the top cloud platforms. Exactly, Google cloud is expected to bring much more opportunities in the coming years. So, wish you all the best! Yeah thanks, correction is done!